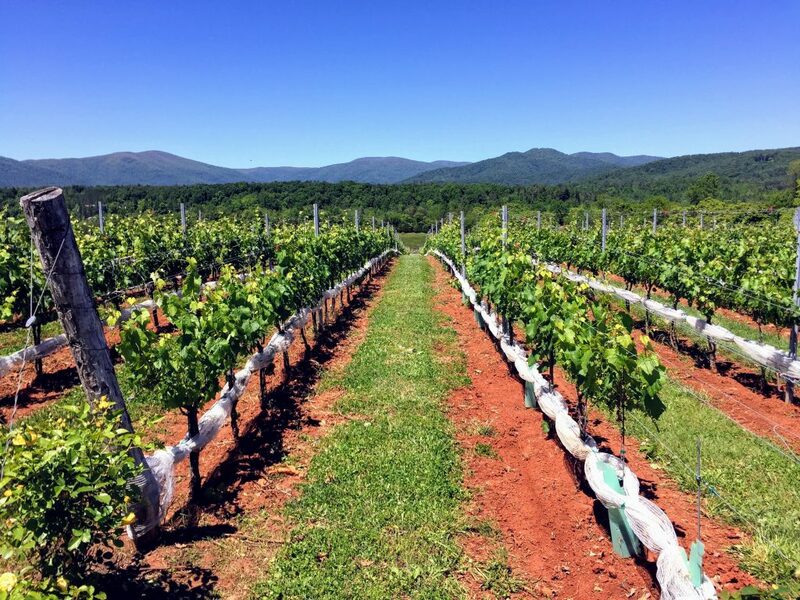 Earlier this week I had the tremendous opportunity to be a speaker during the 2017 Virginia Wine Summit. 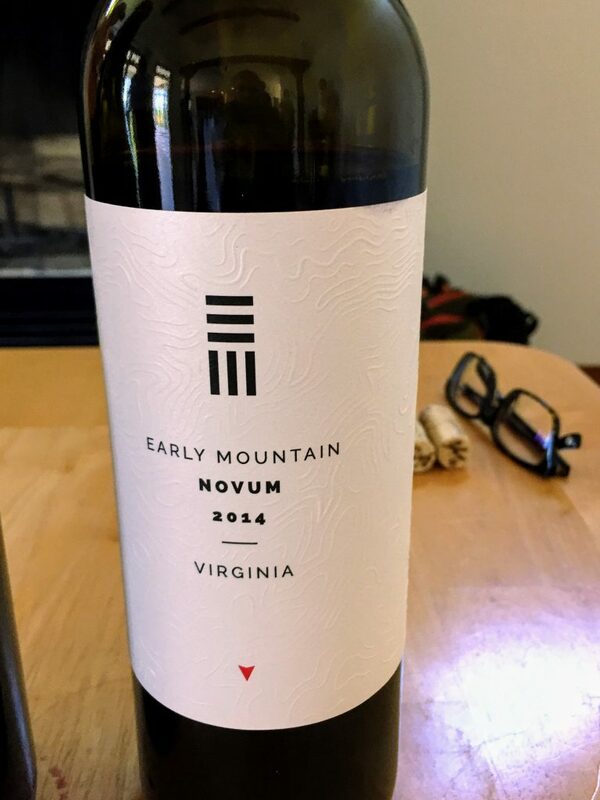 During the panel, titled “Defining Local on the East Coast,” I helped lead a tasting of four Virginia wines and four New York wines. 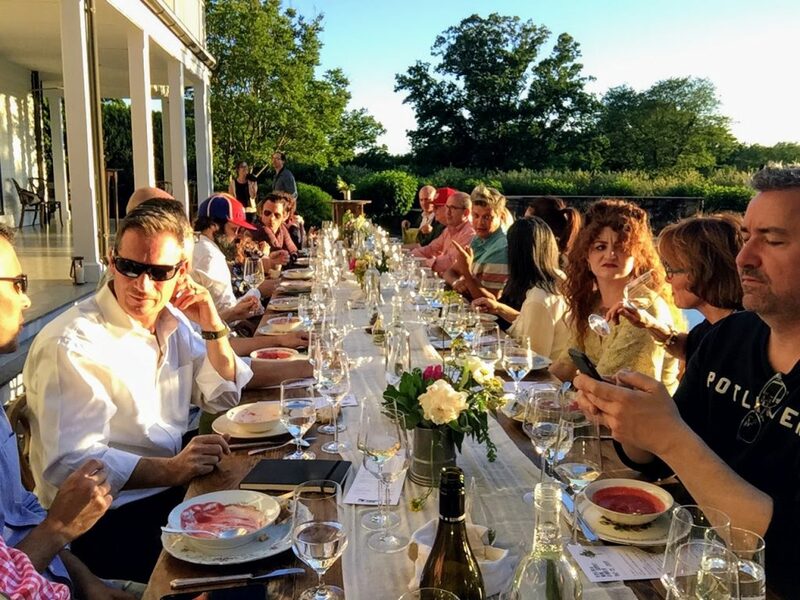 Discussions of history, style, soil, acidity and — not-at-all-surprisingly — pricing ensued. 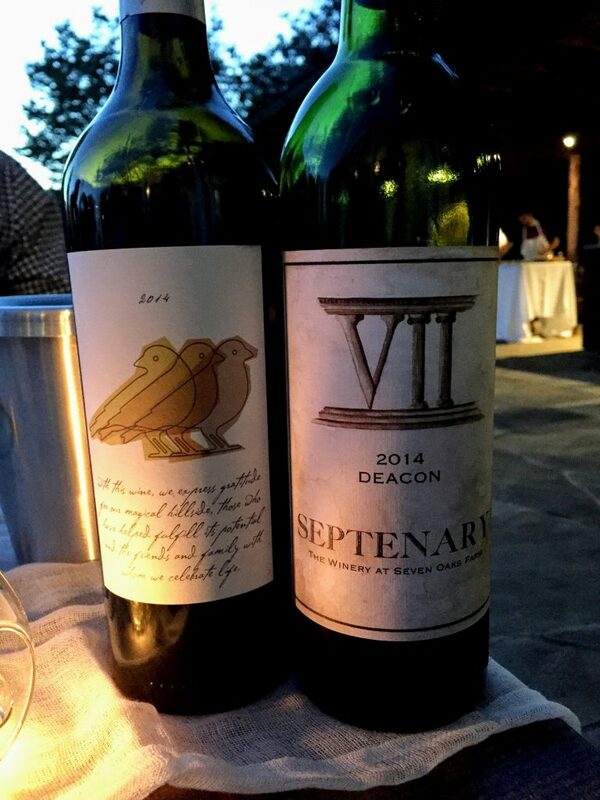 The other sessions that I attended focused on varietal Petit Verdot wines and Virginia Viognier. Both fascinating and obviously a bit different from what we see here in New York. 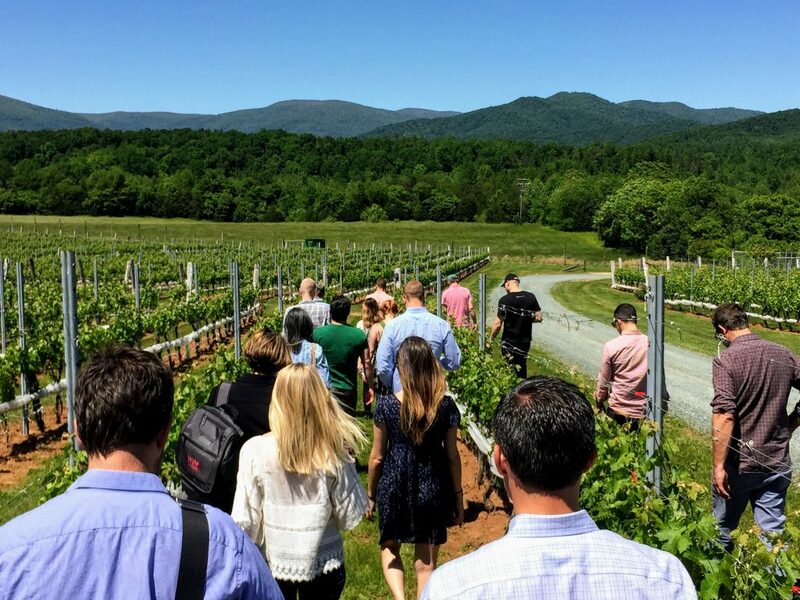 The day prior to the Summit, all of the various panelists — mostly sommeliers and beverage directors from up and down the eastern seaboard — hopped on a bus and toured a bit of Central Virginia wine country. 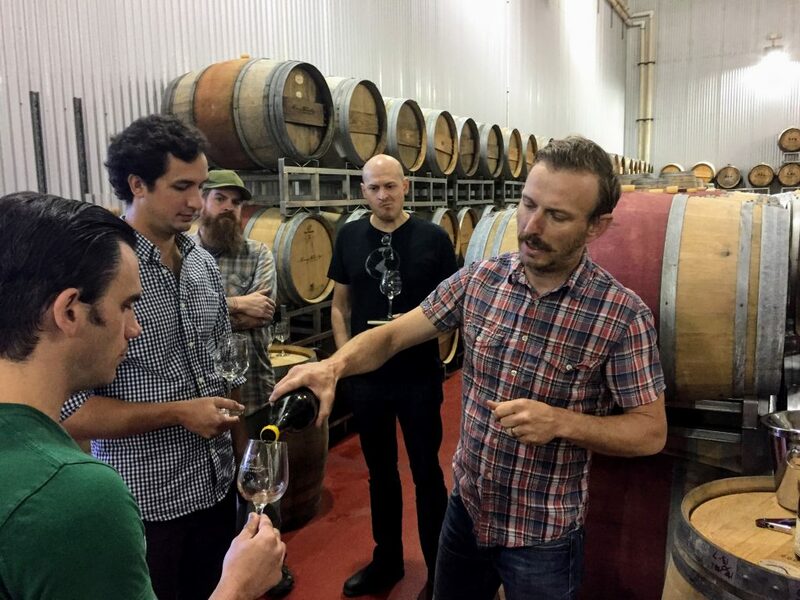 I tasted a lot of wines and talked to a lot of winemakers. 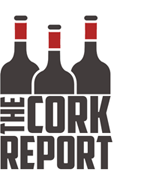 There will be at least a handful of stories to come out of the trip — and hopefully even some Virginia wines in upcoming shipments from The Cork Club. In the meantime, here are some of the best things I tasted and saw on the trip. Look for more starting next week. 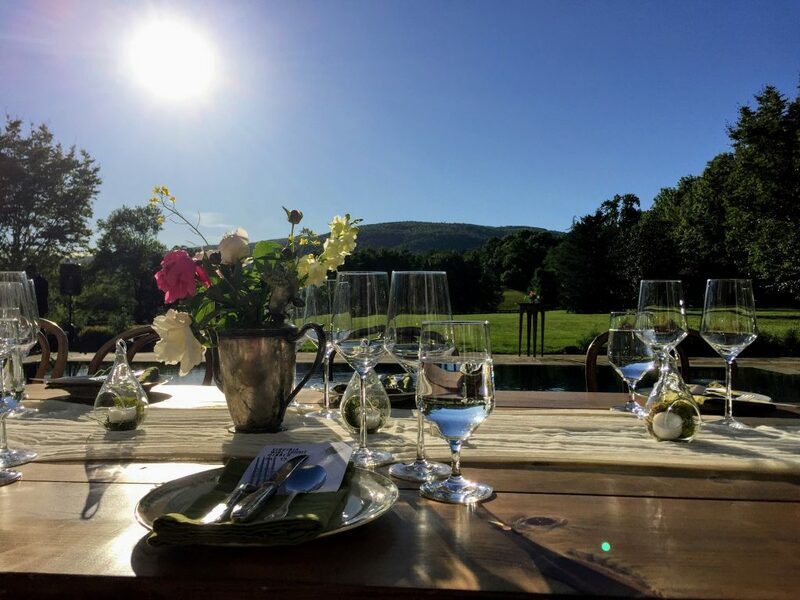 Winemaker Kirsty Harmon’s first estate Albarino was a fresh, fruity, saline way to kick off dinner at Seven Oaks Farm. Walking through the vineyard at Stinson Vineyards. 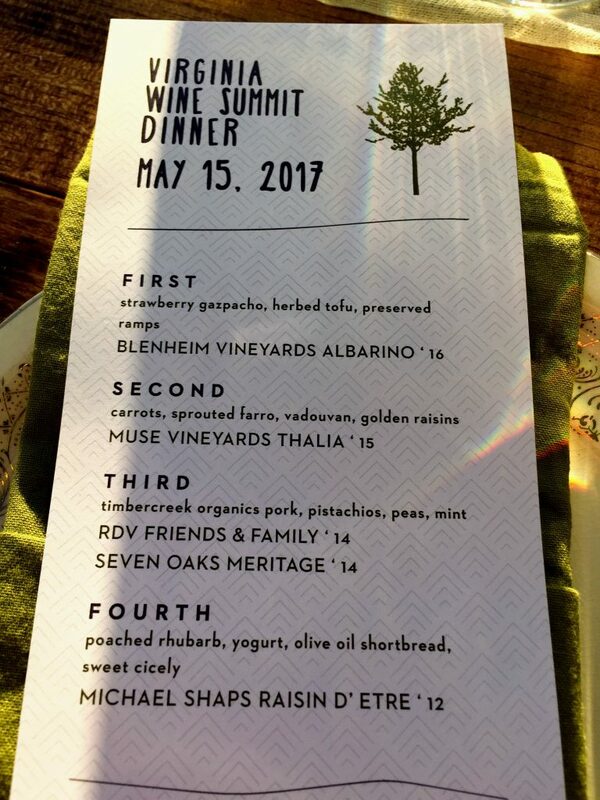 Bordeaux-style blends from RdV and Seven Oaks Farm. Some of our group during dinner at Seven Oaks Farm. One of the best meals I’ve had this year. 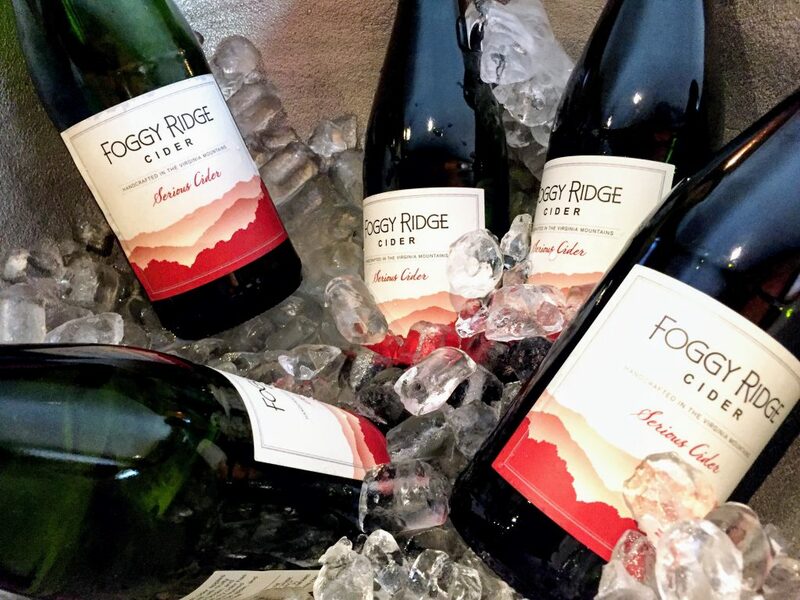 The Northeast doesn’t have a monopoly on delicious, traditional cider. Foggy Ridge is a must-known producer. 100% Mouvedre. 100% delicious — and always a favorite. 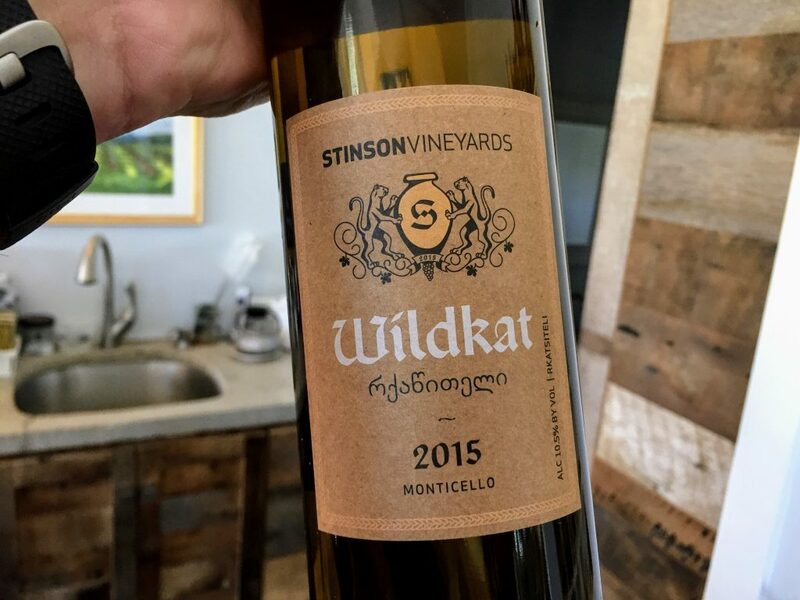 Terrific sauvignon blanc that is lower in alcohol (12%) but doesn’t skimp on flavor. Perfectly balanced. 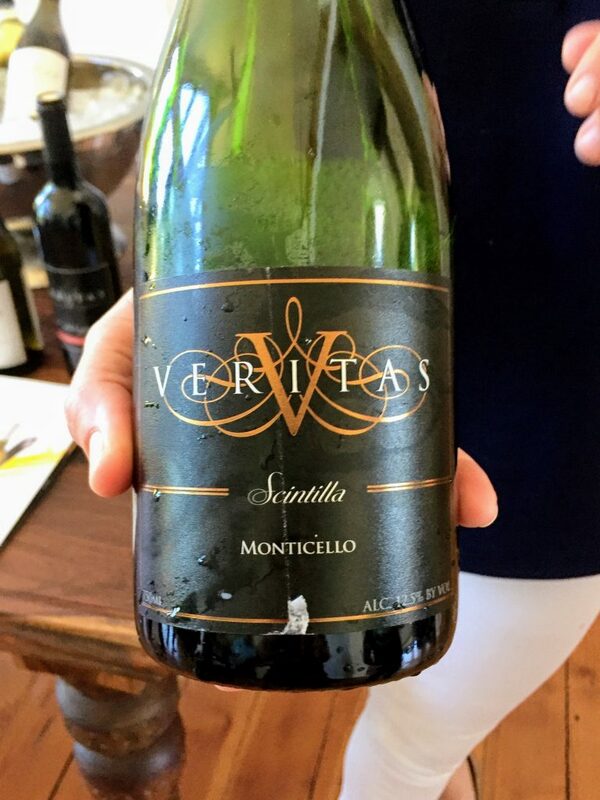 100% chardonnay sparkling wine from Veritas Vineyards. 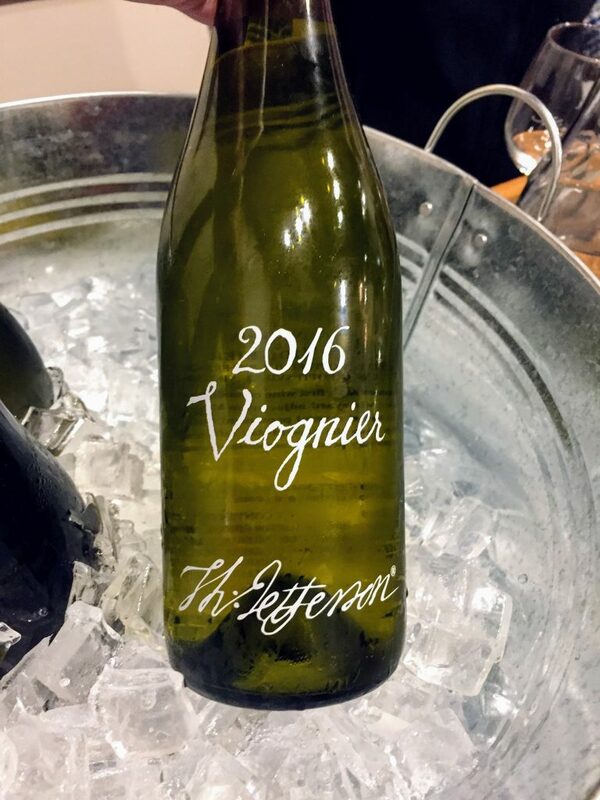 I tasted a lot of viognier on this trip. Liked this one quite a bit. 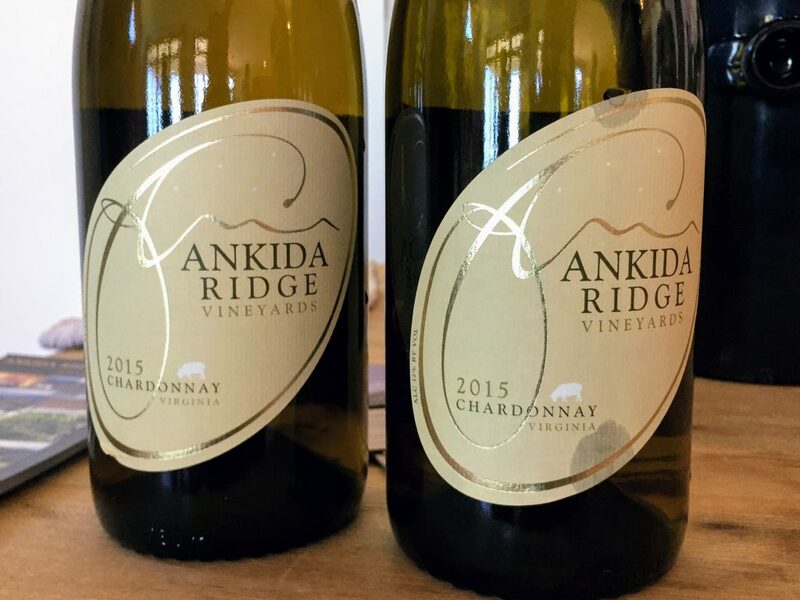 I don’t love chardonnay — but I love this one from Ankida Ridge. 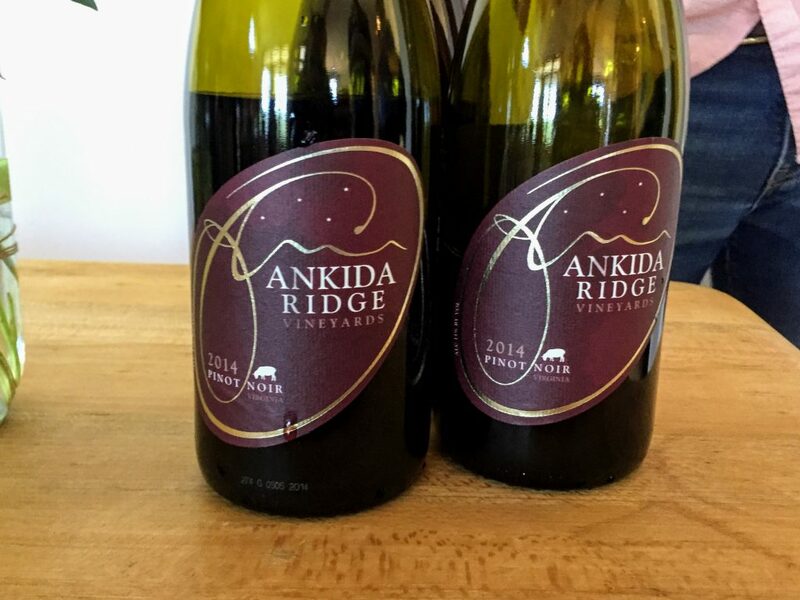 Not hyperbole to suggest that the Ankida Ridge site is a Virginia grand cru vineyard. 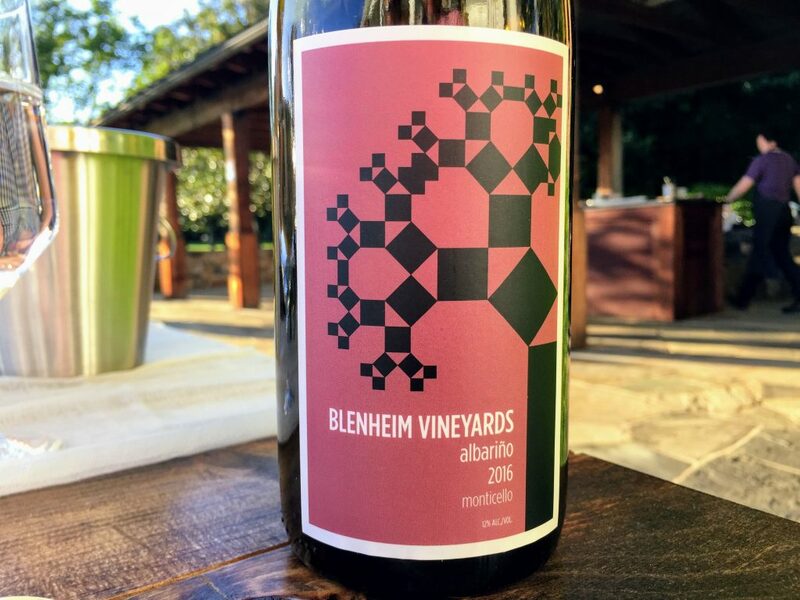 Stellar pinot noir. 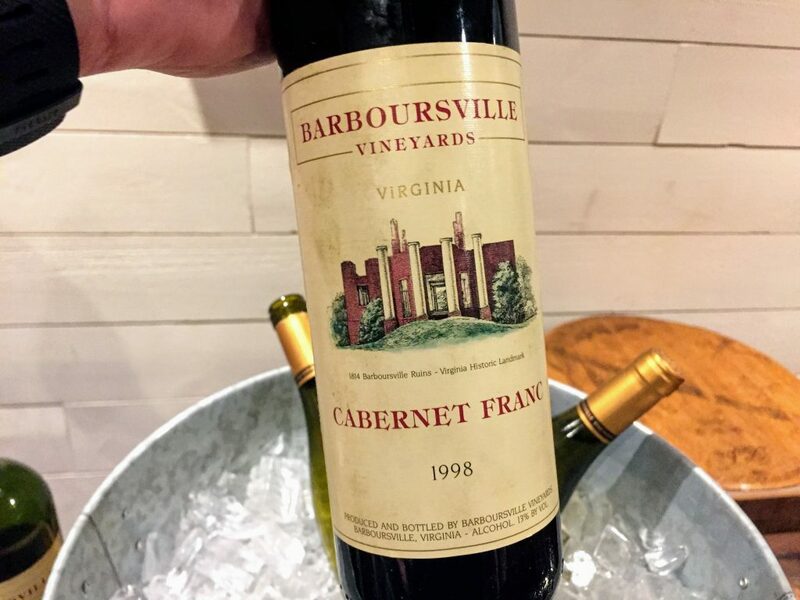 Cabernet Franc-heavy blend with a low oak footprint. Delicious. 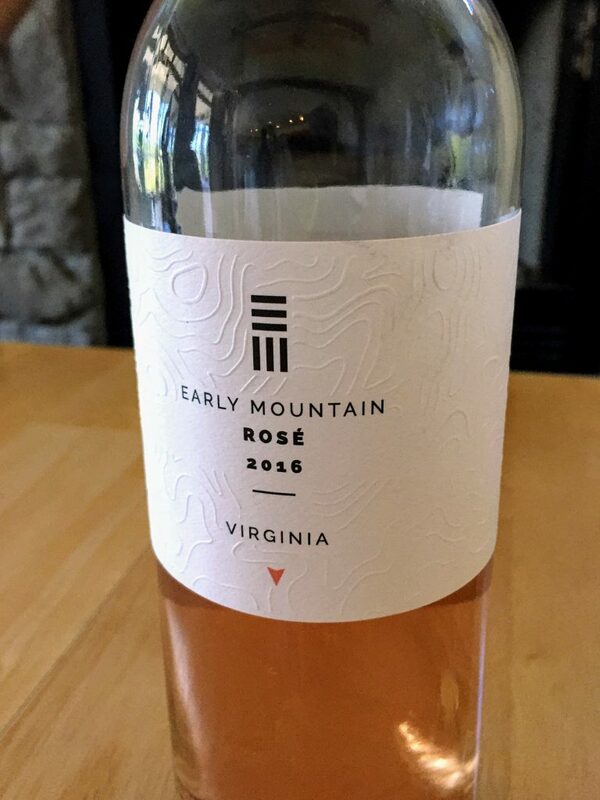 One of the best roses I tasted, from Early Mountain Vineyards. 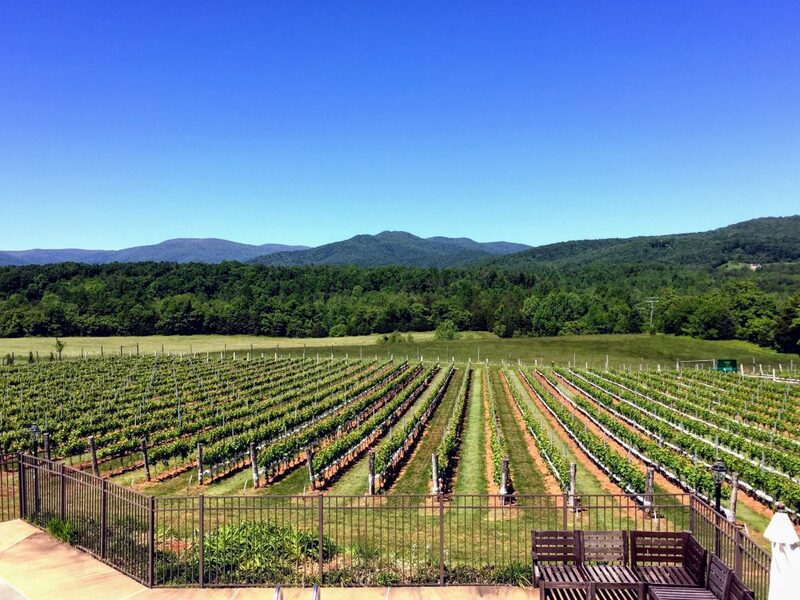 The views at Stinson Vineyards are pretty spectacular. 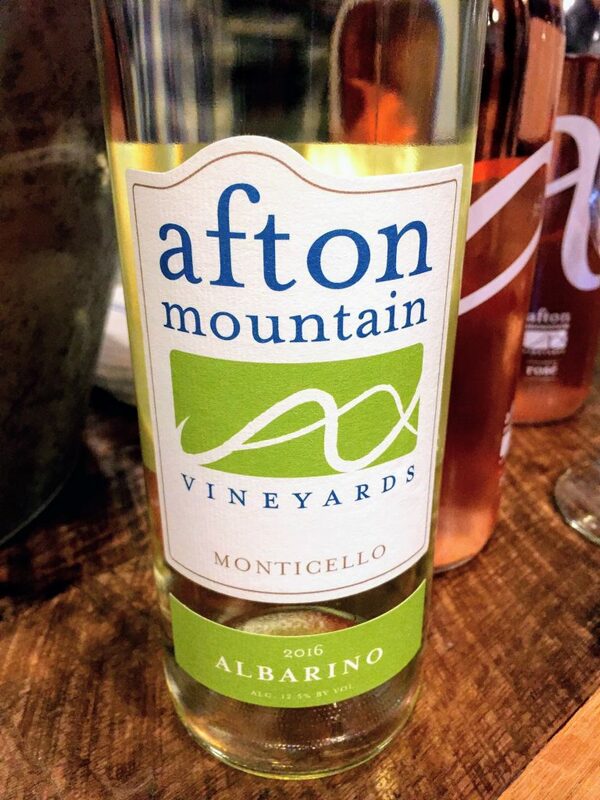 New-to-me producer, Afton Mountain Vineyards, poured this crunchy, floral Albarino. 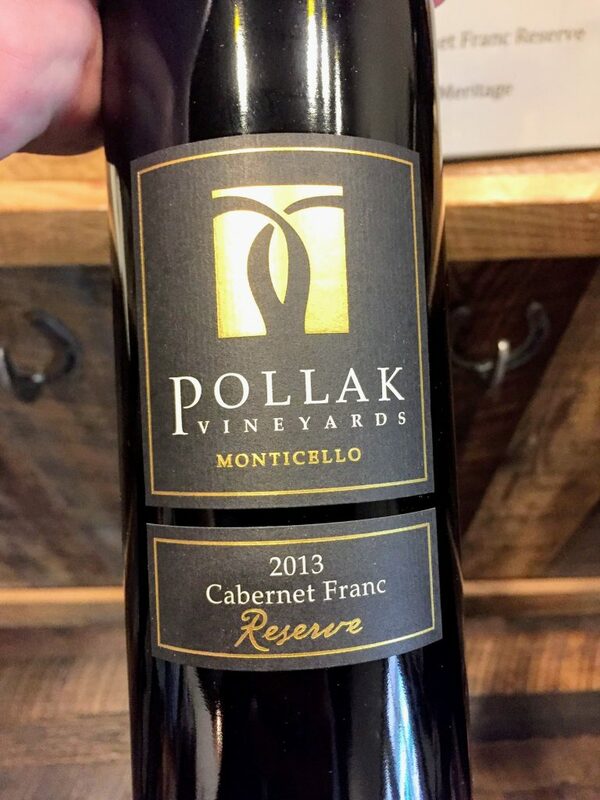 Didn’t taste a lot of varietal cabernet franc — but this one from Pollak Vineyards stood out. 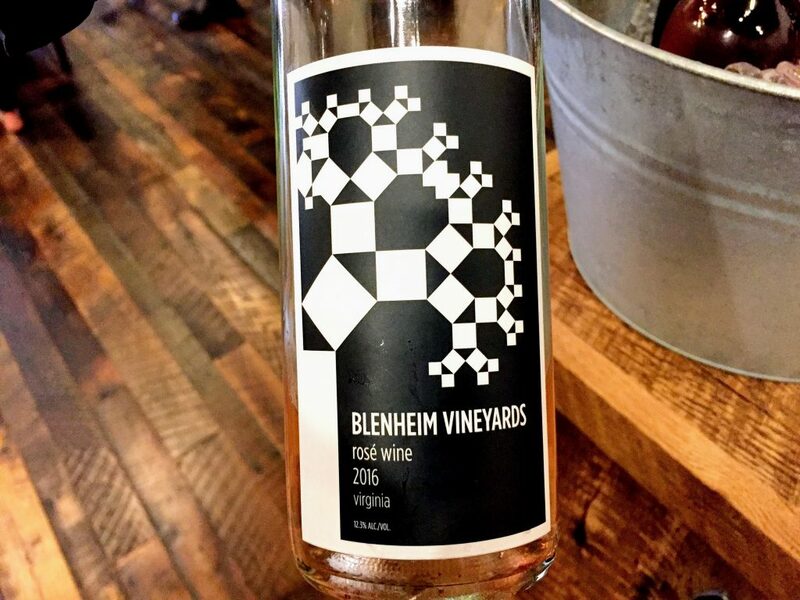 Always like the Blenheim Vineyards wines. 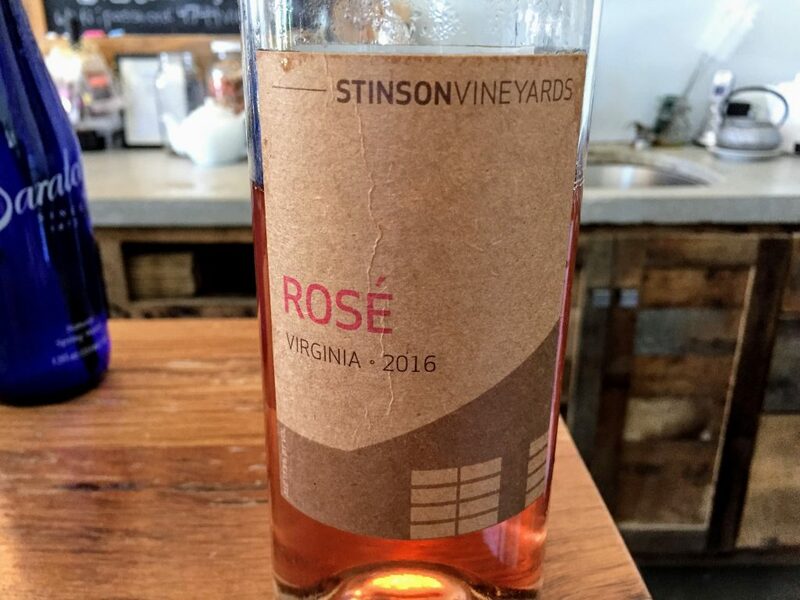 This rose is no exception. 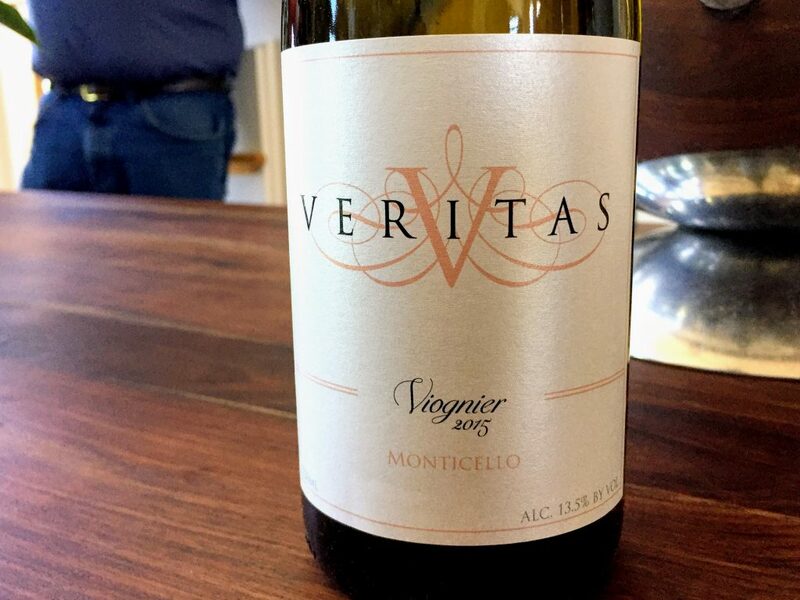 Even though it’s a 2009, this wine was as fresh and crisp as could be. 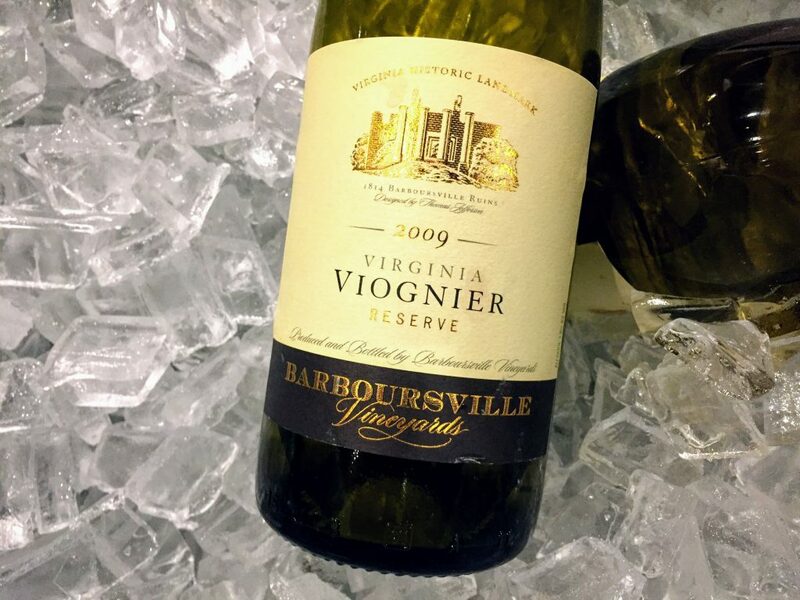 Really shows the aging potential of well-made Viognier. Speaking of aging potential. This was a real treat — and while clearly mature, it wasn’t on the decline in any way. Some new oak flavors here, but still fruity and fun. 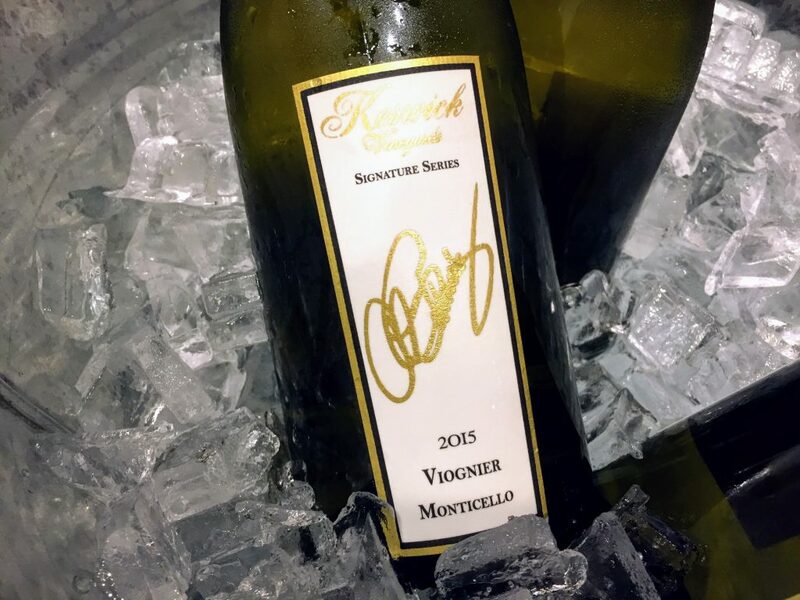 Multiple harvest passes — and a little skin contact — create this beautifully balanced and textured Viognier from Keswick Vineyards. 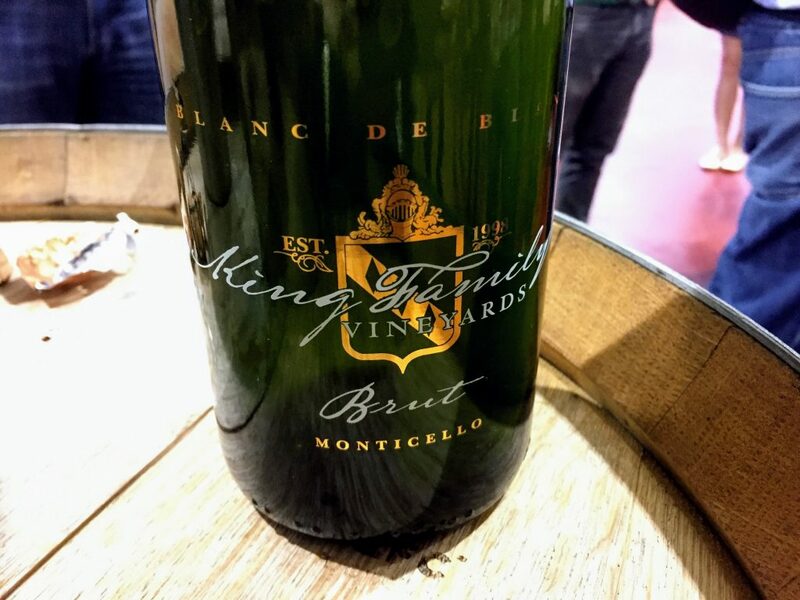 Best sparkling wine I tasted this week. To be released soon. 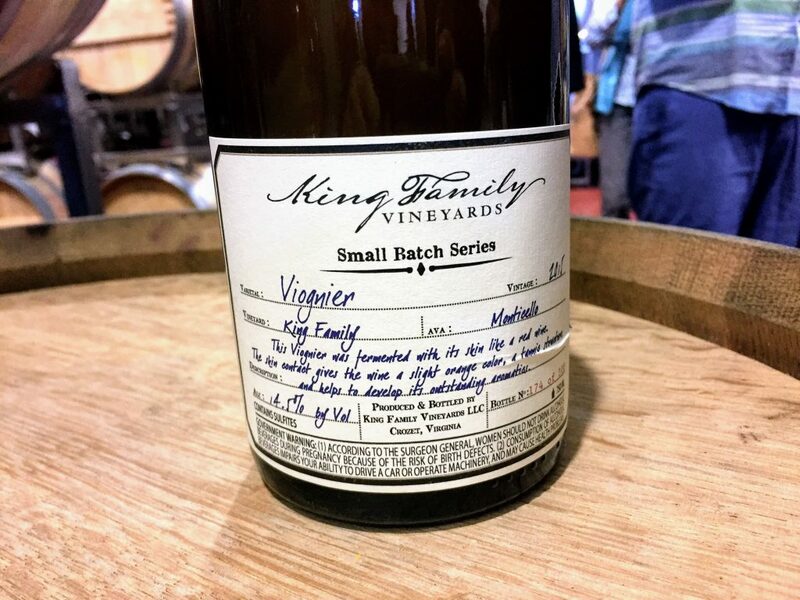 King Family Vineyard winemaker Matthieu Finot pouring for the group. This is what orange wine can and should be. 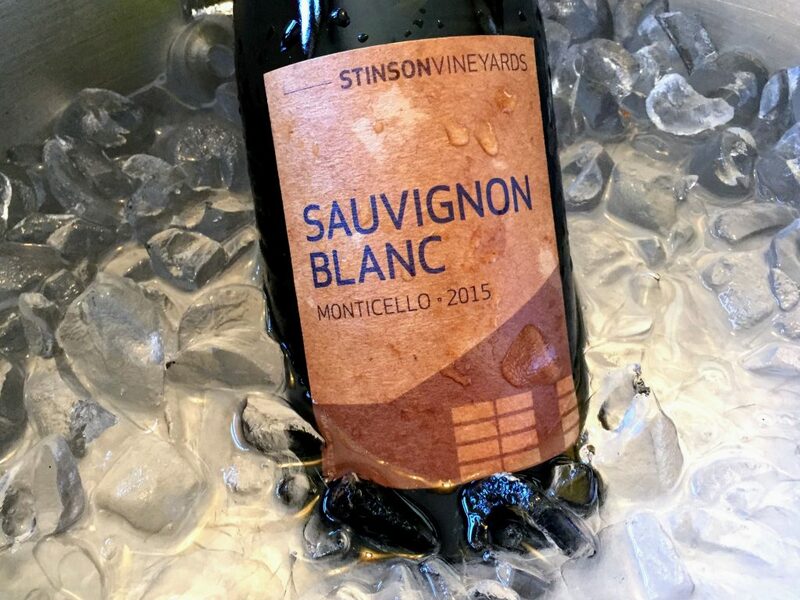 Clean flavors — no VA or oxidation — with beautiful mouthfeel. 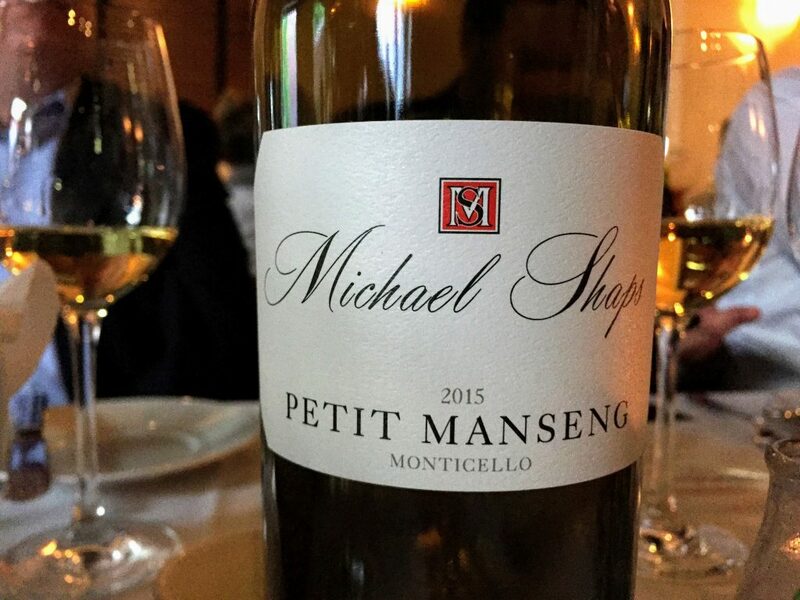 One of the real “wow” wines from the week. Bone dry and explosively flavorful with a rich, concentrated feel. 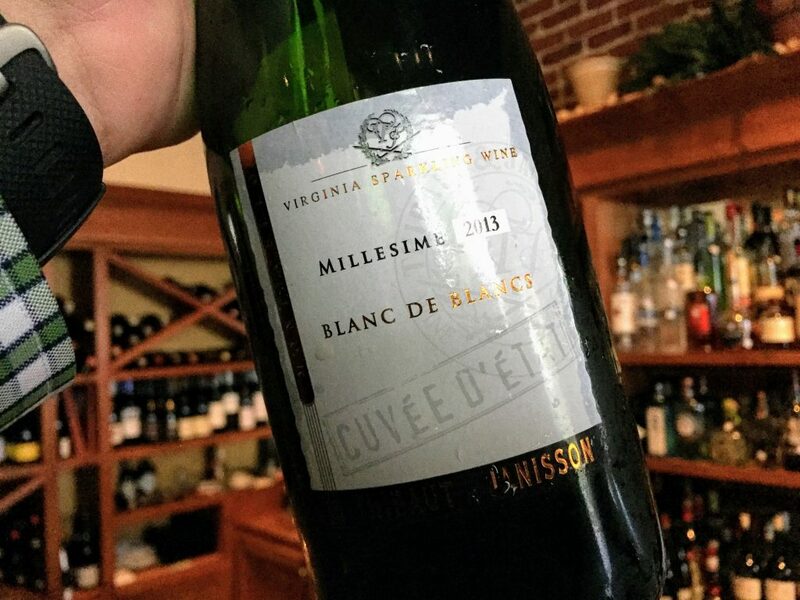 How we kicked off the entire event at Fleurie restaurant in downtown Charlottesville, Virginia. Orange wine made from Rkatsitelli grapes.